At first glance, eliminating plosives sounds like something that should be reserved for the bomb squad. Fortunately, it’s far less dangerous than that. Plosives, much like their bigger cousin explosions, are sudden, forceful movements of air. They are created by our speech during the pronunciation of the “p” and the “b” sound. We form these sounds by pressing our lips together and building up air pressure in our mouth. Then, when we release that pressure by opening our lips, the pressure bursts forward and completes the sound. The only difference between the “p” and the “b” is that we create slightly more of a puff of air on the “p” compared to the “b”. Since plosives are related to speech, anywhere that vocals are being recorded give opportunity for them to form. This means that anyone from the humble Podcaster all the way up to the Audio Engineer or Producer might encounter this problem in their work. 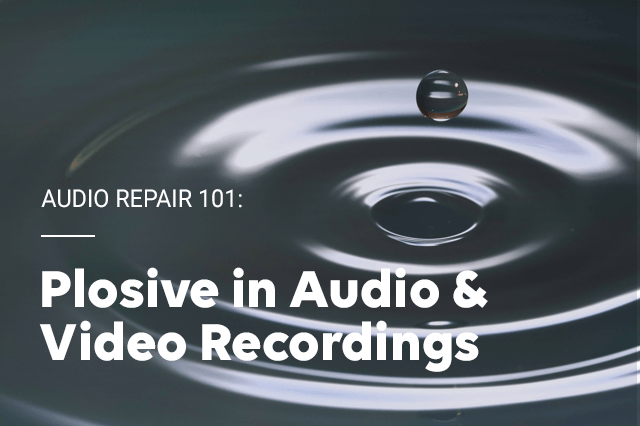 Armed with knowledge and a few inexpensive tools, plosives can be altogether stopped from disrupting your audio ever again. Plosives are a type of disturbance closely related to sibilance. Both of these are produced by speech, and they are the overflow of air onto the microphone diaphragm. Sibilance creates high frequency disturbances, while plosives create mid to low frequency disturbances. The most important common ground that these two disturbances share is their underlying nature. Neither one is a problem resulting from the poor interaction between a sound and its environment. Plosives, like sibilance, are a problem rooted in the source of the sound. Coming directly from the source, we have no tricks to dampen the effects of plosives by changing the environment. We have to skip over our usual first step and proceed directly to considering our equipment. The first and easiest thing to do is change the placement of the microphone. Plosives are somewhat directional and tend to travel straight from the mouth. To test this, place your hand six inches from your mouth and start repeating the “p” syllable. You can also say the “b” syllable if you don’t feel comfortable saying “pee pee” out loud. Move your hand side to side and notice the difference as your hand moves out of the plosive zone. By placing your microphone in this area, the omnidirectional sound waves will still be picked up with a greatly decreased amount of the unidirectional plosive. On a side note, you may be thinking that just saying the “b” and “p” softer would be a good idea, but anything that forces you to dictate in an unnatural way will always hurt the performance or speech. For this reason, it’s best to accommodate the problem. For even more protection, pop filters can be added to the microphone and/or halfway between the speaker and the microphone. These consist of a dense, mesh material that slips on over the microphone, or is suspended on a flexible arm that attaches to the microphone stand. This mesh restricts the forceful movement of air while allowing vibrations to pass through. A less orthodox method which was mentioned in the sibilance article is the pencil trick. If you attach a pencil vertically in front of the diaphragm with a rubber band, plosives will split in half and be driven around the diaphragm. By employing all of these methods together, you can very well eliminate 99% of your plosive problems. Like I said, knowledge and a few inexpensive tools would be all you need. But what if a few of these plosives pass through your defenses and ruins a perfect take that is too good to do over? Removing plosives in the mix stage is not an ideal place to be. With sibilance, the harsh “s” sound can be made without saying another letter after it. The “b” and “p” are dependent on other letters to be pronounced. When you try to say one by itself, the best you can manage is a short vowel like “buh” with it. What this means in the mix stage is that any destructive editing will result in partially removing the vowel sound right after the plosive. These innocent bystanders are needed for clear speech. Cutting out too much will result in an unnatural, muffled sound that may be worse than the plosive, itself. For this reason, I wouldn’t recommend just adding in a volume fade. General volume adjustments are blind to frequency. They affect the whole spectrum, and they will destroy some parts of the audio that are still valuable. With this in mind, it’s best to find ways that can keep the following word intact as much as possible. One way to do that is to zero in on the frequency range that is causing the problem. Since the plosive produces mid to low frequencies, there’s a good chance that those frequencies are separate from the frequencies that the rest of the speech takes place in. To reduce the plosive, cut out a few dB’s at a time from between 250Hz to 700Hz with an EQ. To get really fancy, you can automate this reduction to happen just before the plosive so that you don’t lose this frequency range for the rest of the track. Along with an EQ, a compressor will go a long way in helping. By squashing the dynamic range of the track, the enormously loud plosive will be less noticeable when its volume is similar to that of the rest of the speaking or singing. This will be more beneficial to speaking since dynamic range is not as necessary, but applying enough compression to fix a plosive may not be flattering to the rest of the track when recording a singer. 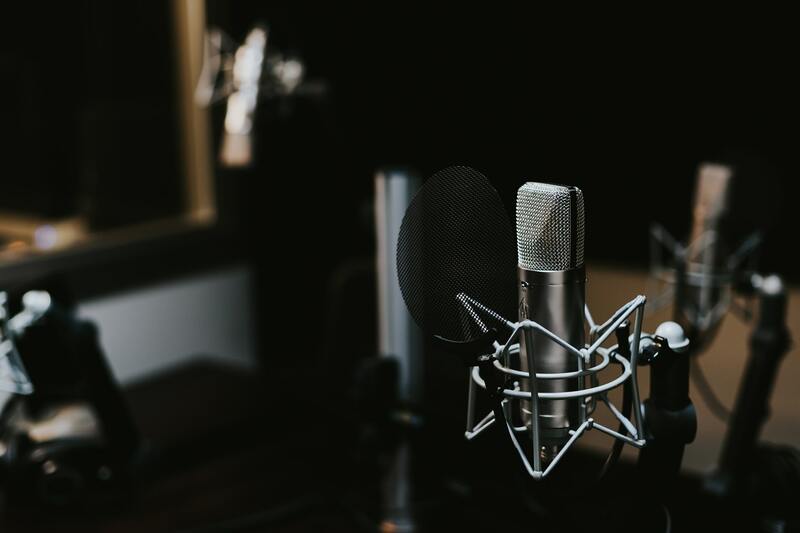 If you happen to have a plosive that sneaks past all your defenses and onto your recording, common audio editing tools may not do your track justice. These tools, even in the hands of a pro, can sometimes make a track sound even worse depending on the situation. Plosives behave differently depending on the speaker and the letters which follow it. Since this problem can vary, the solution must be able to vary along with it. 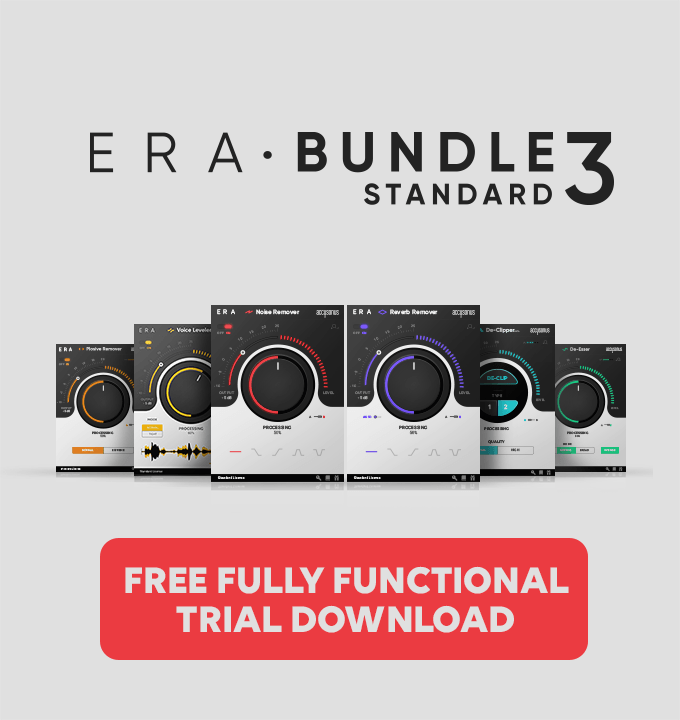 That’s why an adaptive software like the ERA Plosive Remover can be the difference between an unusable track and one that is salvageable. It analyzes each instance and reacts to reduce the effect of plosives in a way that best suits the situation.